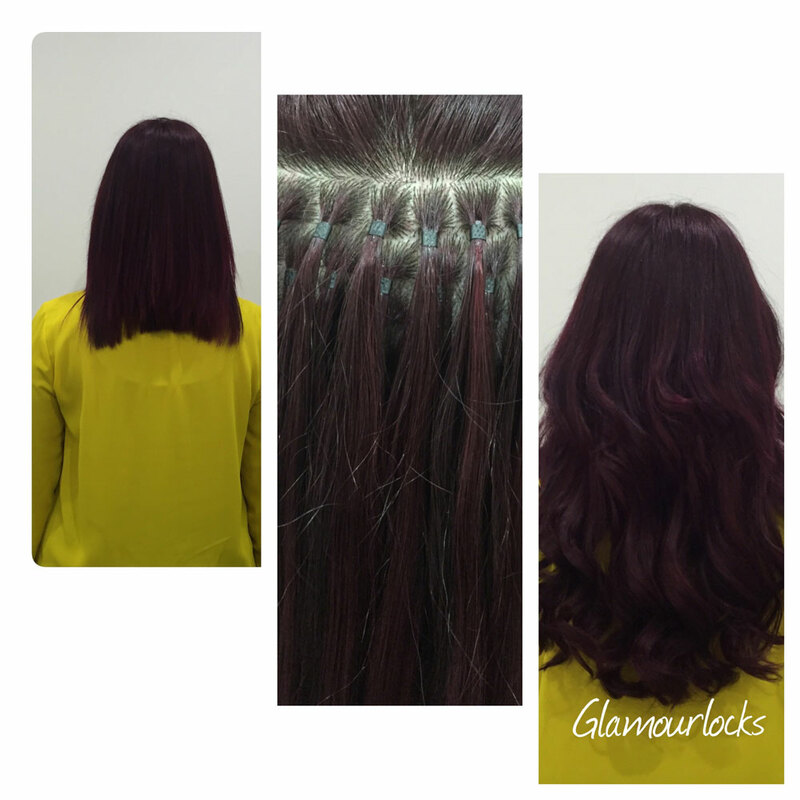 Brilliant service by Emma. Had them for my wedding and wanted my sides, that never seem to grow, matching up with the back. So pleased with them and Emma makes you feel so comfortable. 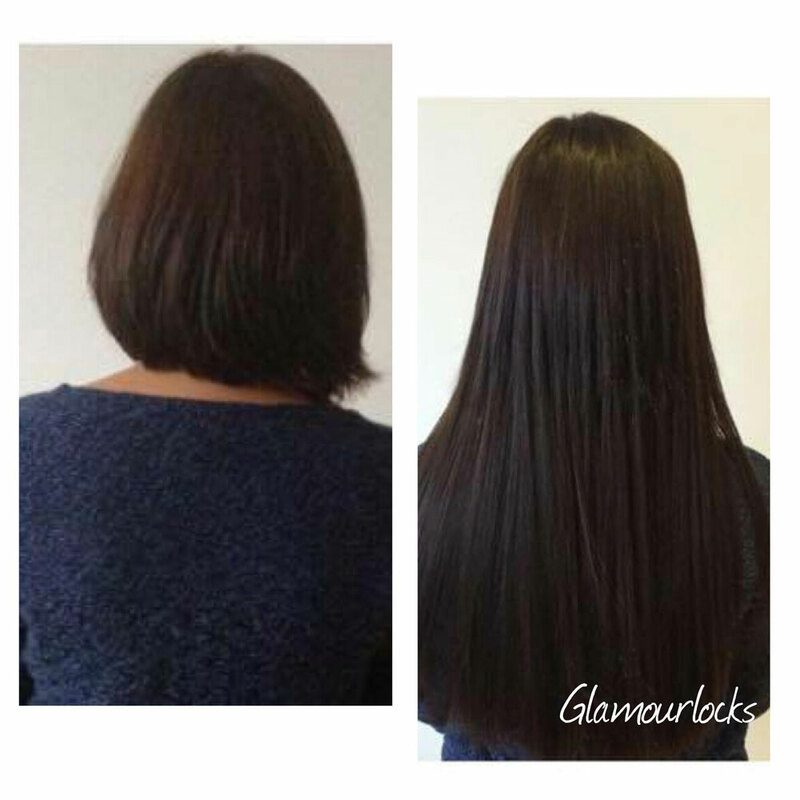 I've never had extensions before, and being in my forties, felt a bit daunted and didn't want to look ridiculous! They looked natural and classy and I don't ever want them out! Extremely secure too! Went to the rock of Gibraltar and had two playful monkeys tugging at my hair, they didn't budge! Highly recommended! 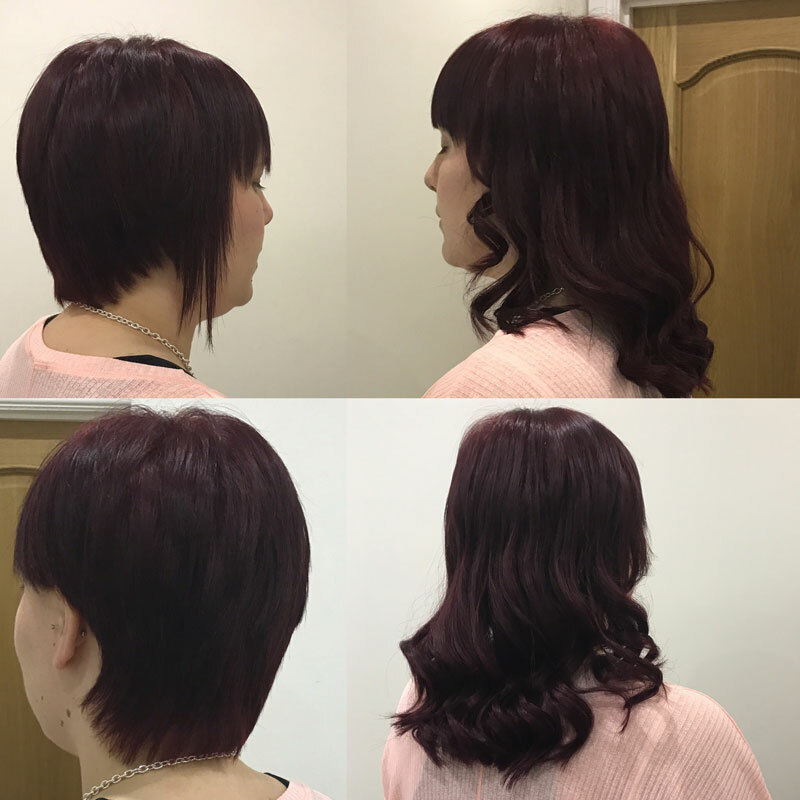 Had colour correction & a cut done today by Emma. 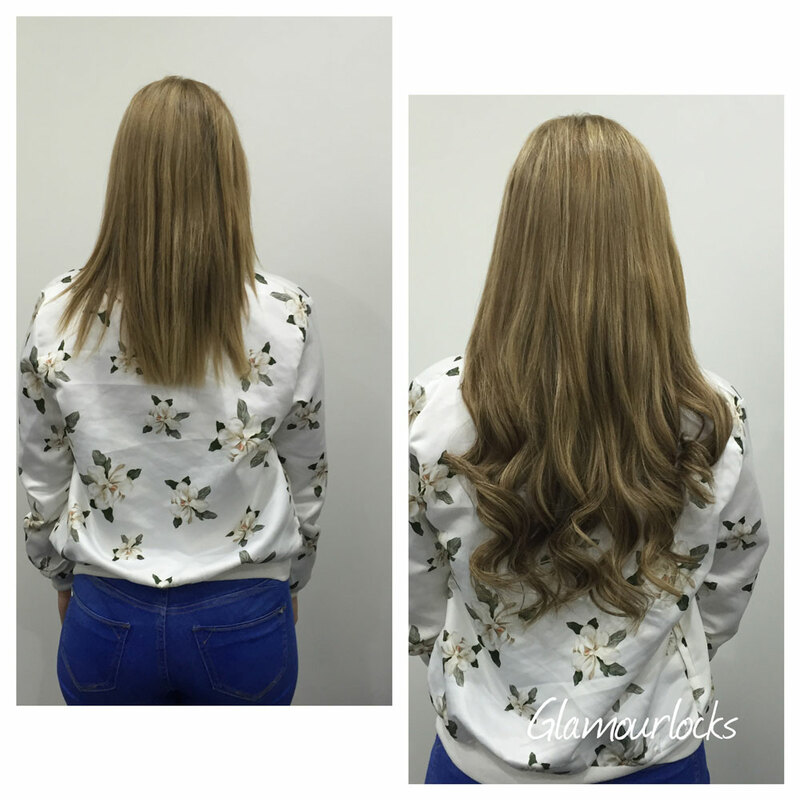 I cannot believe this is MY hair! Before my hair was in a really bad condition, brittle & dry with years of dark brown/black colour build up from box dying my hair. 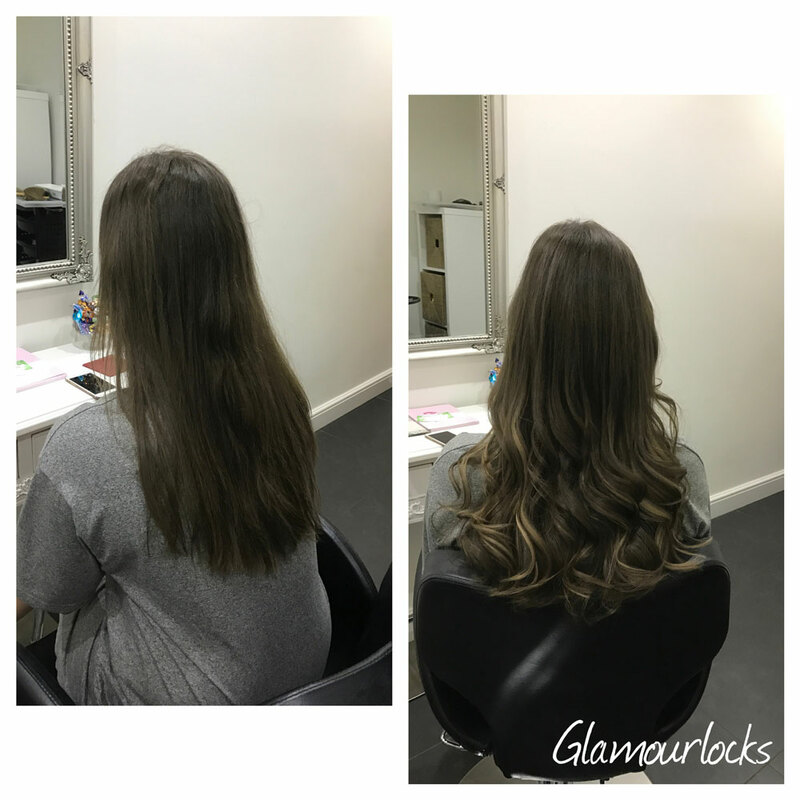 Today it's totally transformed & I couldn't be happier with the result! 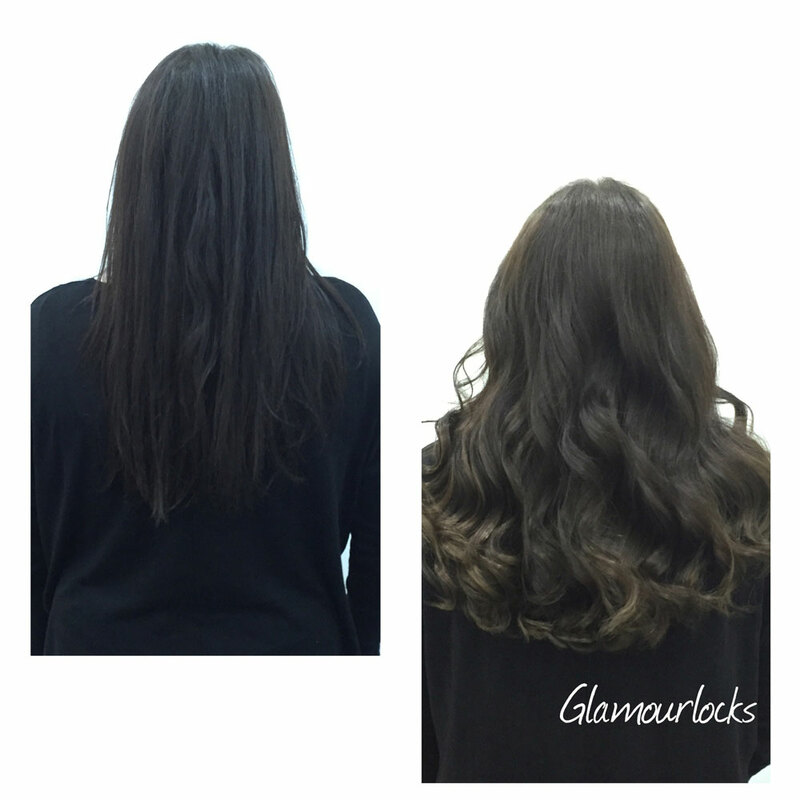 It's so much more healthier & a lovely ash brown in colour. 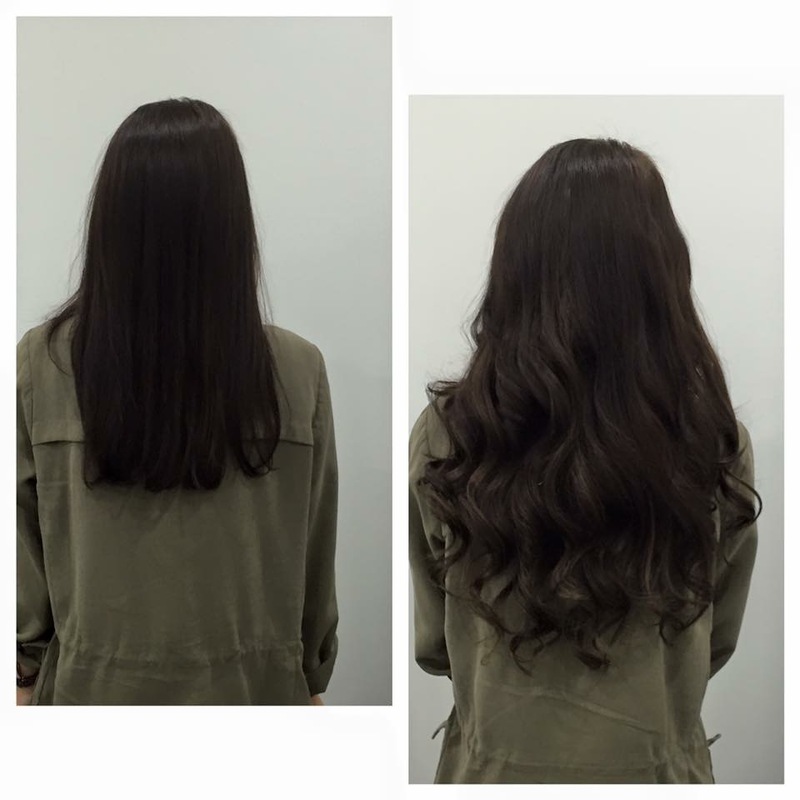 Would highly recommend Emma. 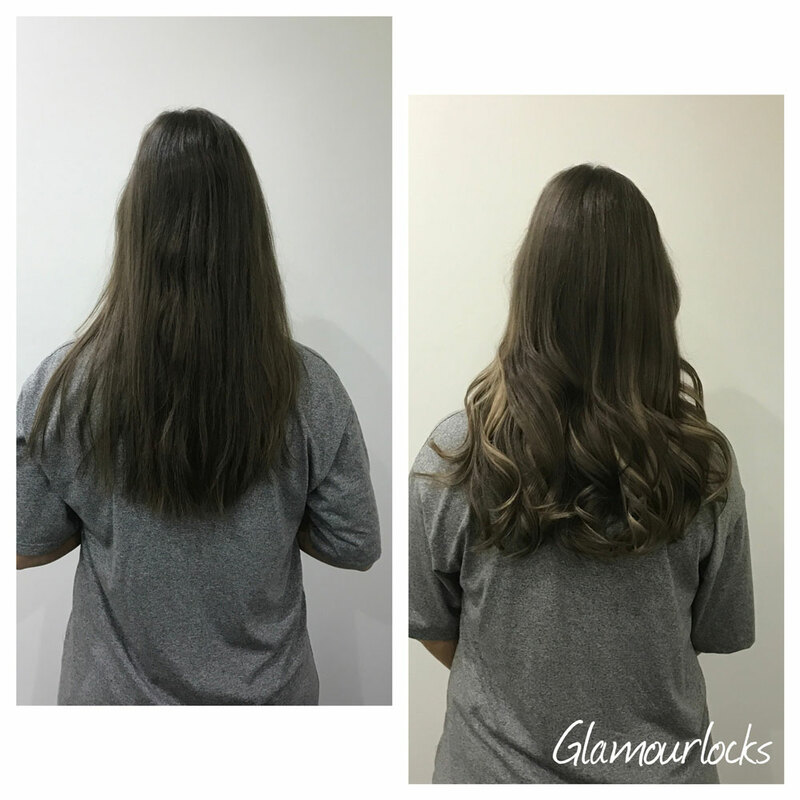 I had my extensions fitted by Emma just over a month ago and the experience and service she provides is second to none. 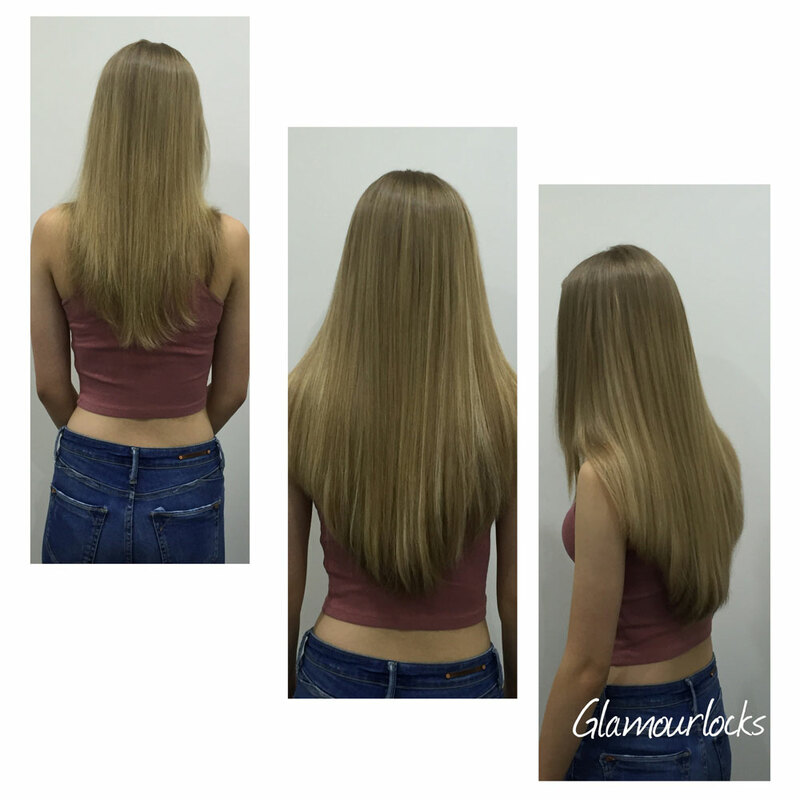 Emma fully explained the process, gave me advice on products for my own hair which isn't in great condition, and provided me with all the information I needed for after care. 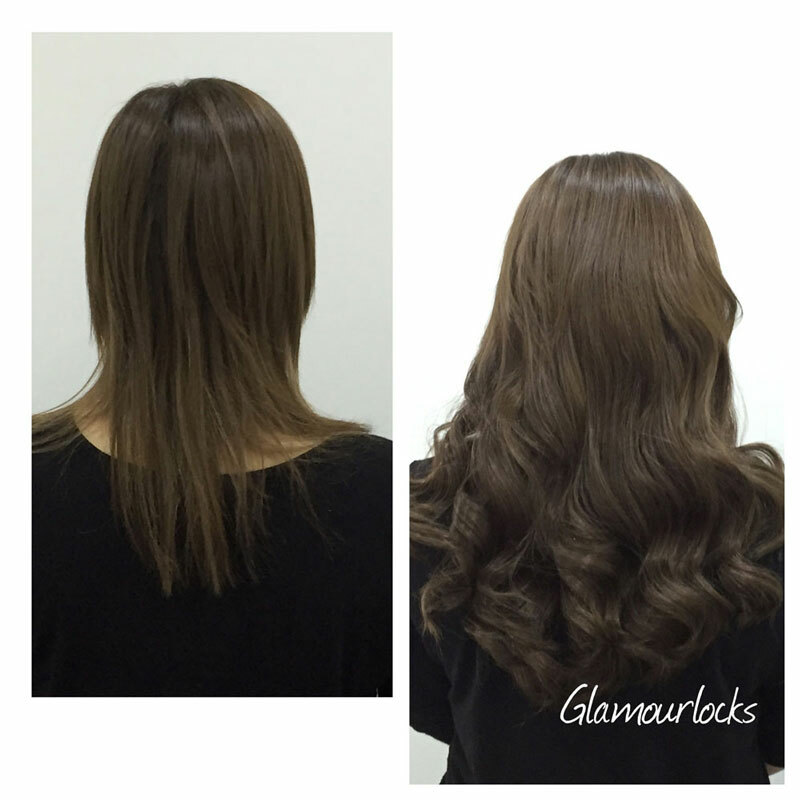 The hair used is beautiful and it looks amazing when fitted. Emma is always contactable for advice and support if needed. 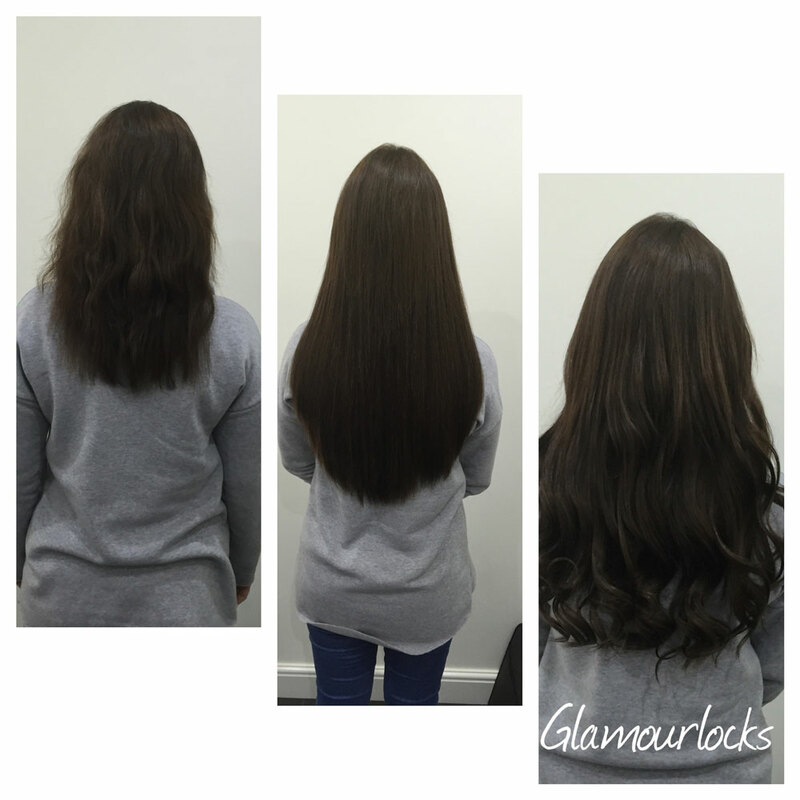 I cannot recommend Emma highly enough for hair extensions. 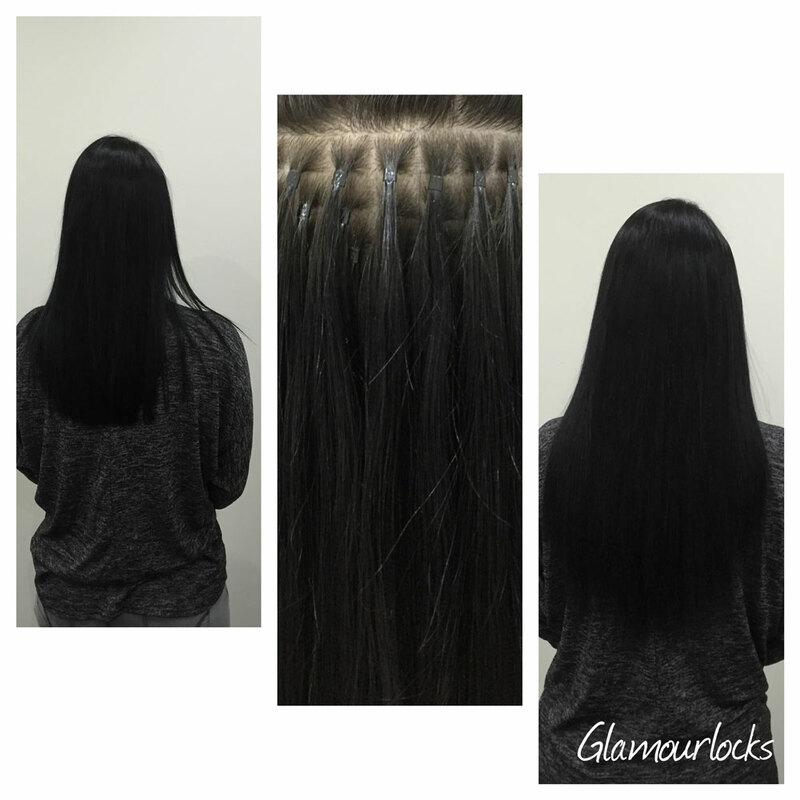 Love my hair extensions,matched my colour perfectly,Emma explains everything you need to know about looking after your hair,she is truly a professional,definitely knows her stuff,and a very friendly lady,the cost of the hair extensions I found was very reasonable,I would recommend Emma to anyone who is thinking of having hair extensions,100%,thank you Emma. 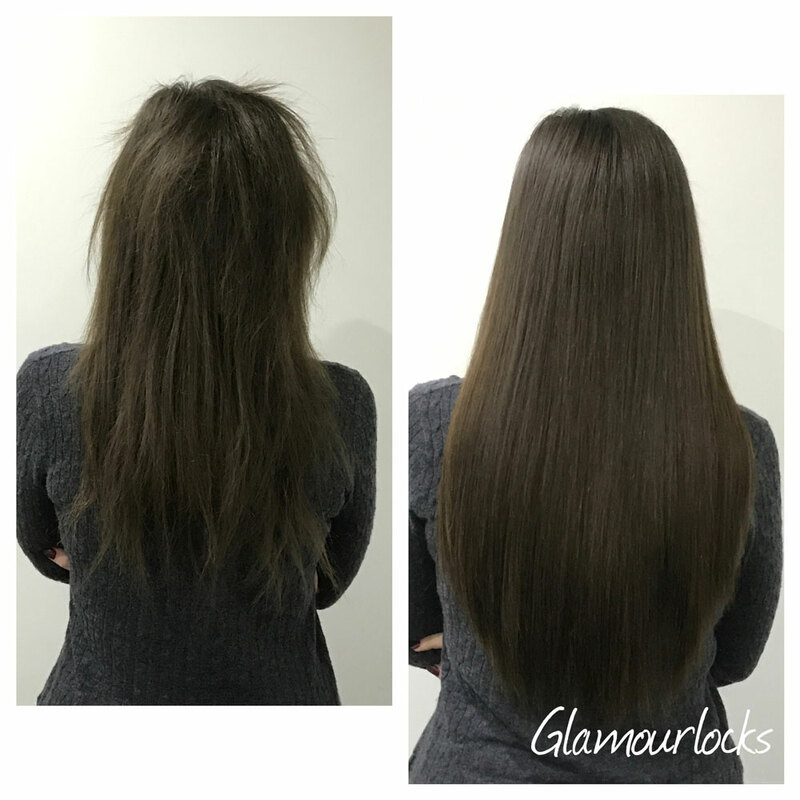 I had my extensions fitted almost 3 months ago and Am now due for my maintenance. 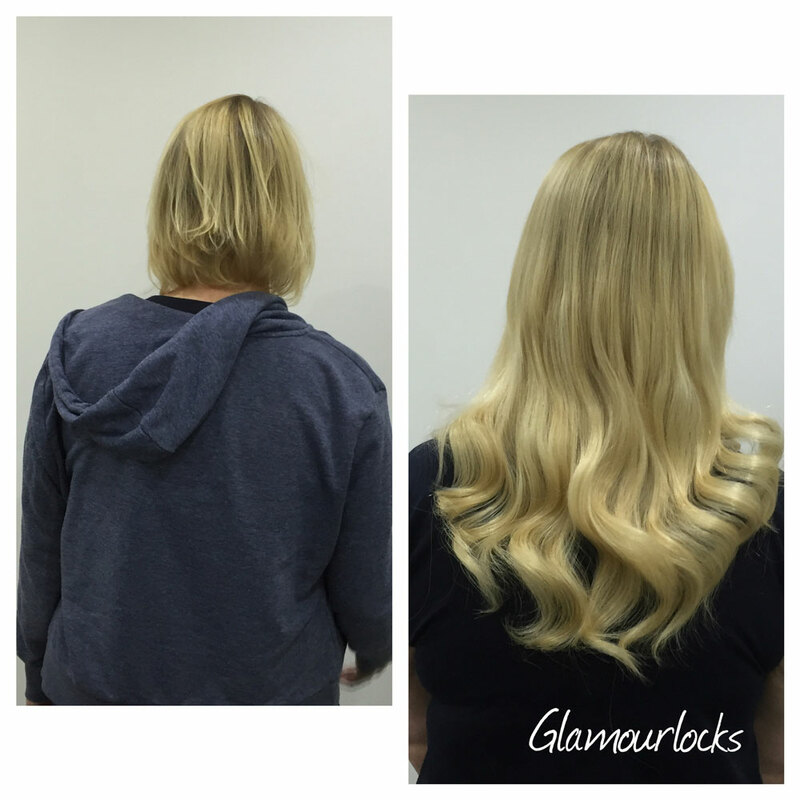 Emma fitted my extensions at a convenient time for me as I have a child and work commitments. The fitting wasn't long especially as we had lots to talk about and the outcome was/is amazing. 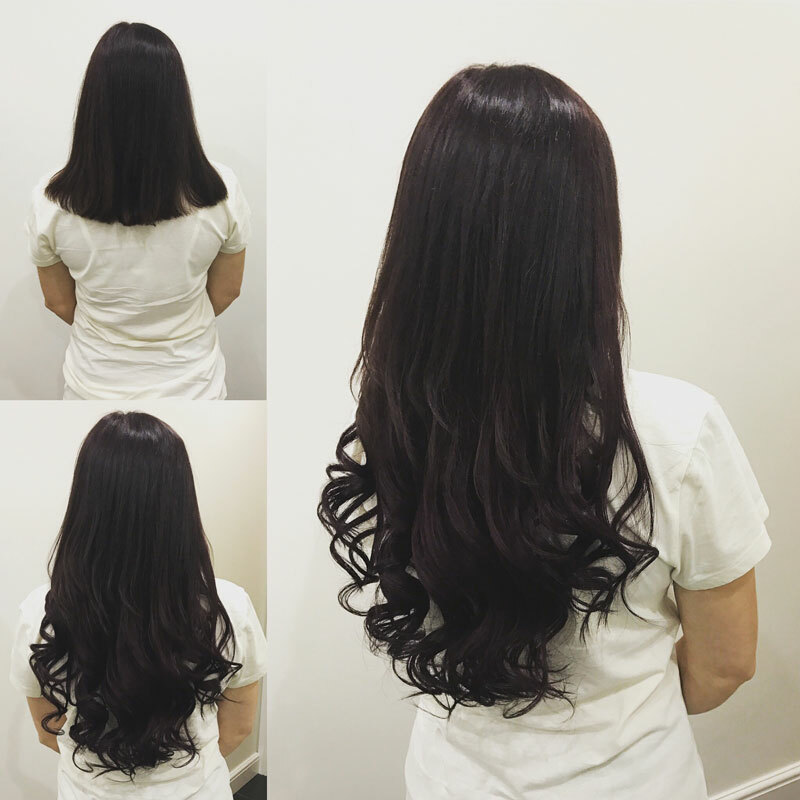 I LOVE my long hair and since having my hair in I have had no problems at all. 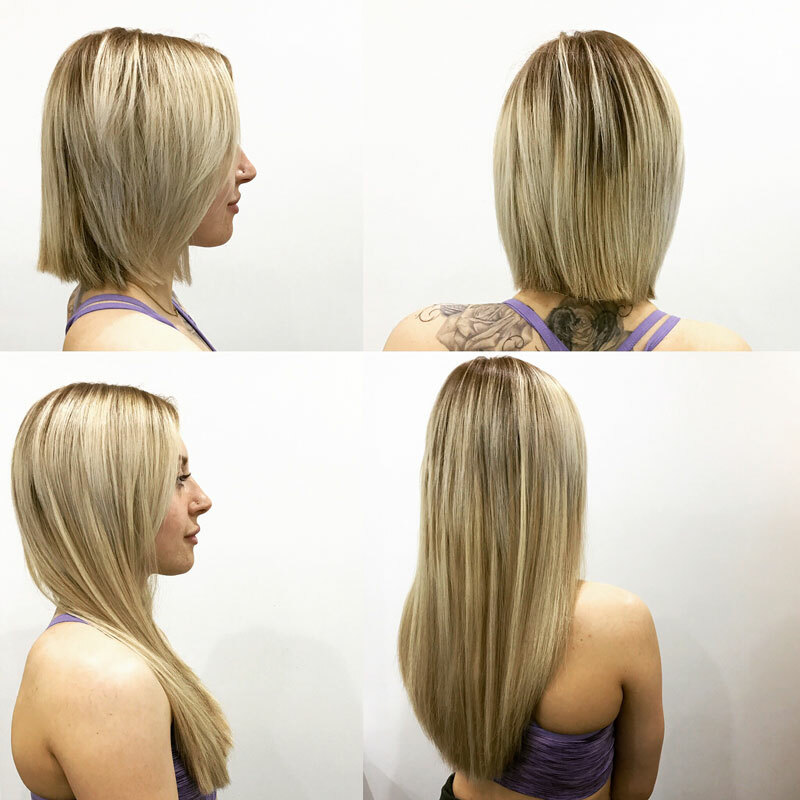 Emma is amazing and will give you an honest answer/opinion about hair. 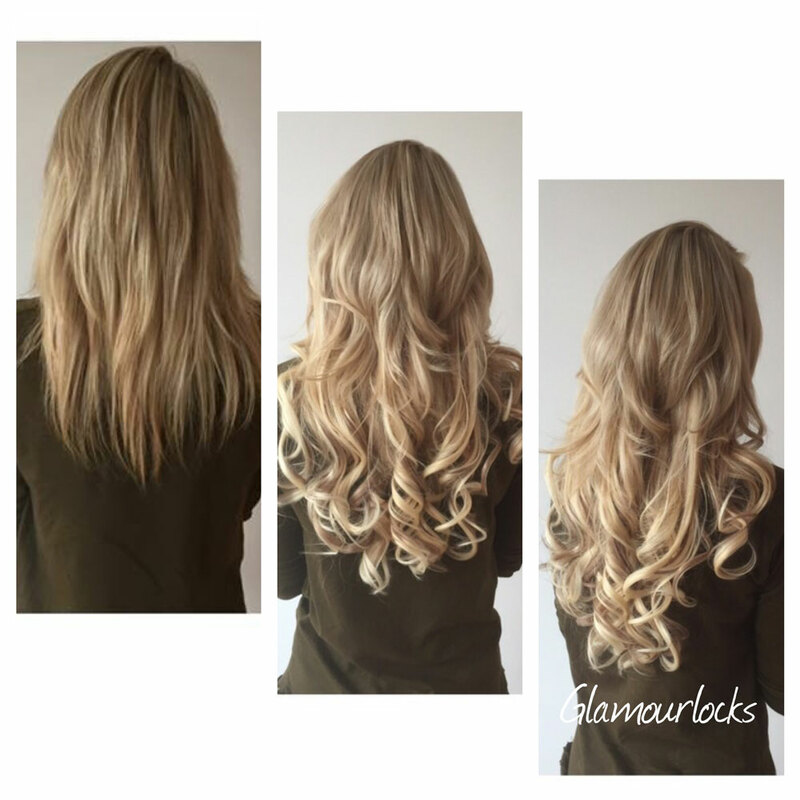 I don't know what I'd do without Glamour Locks in my life. 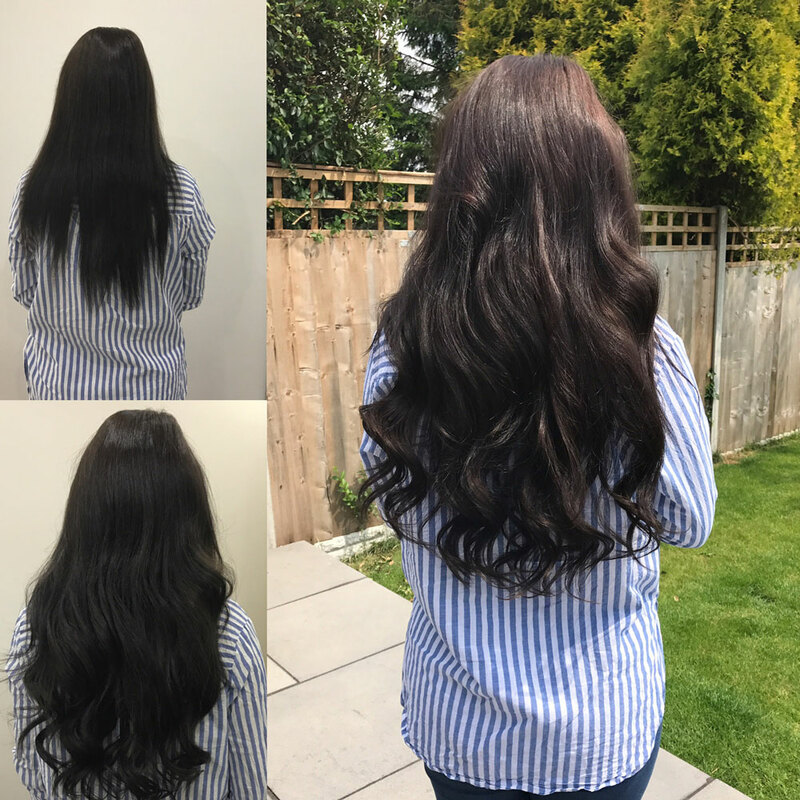 After a bad experience with another Birmingham salon, I visited Emma who is super friendly, honest and has fitted the best extensions I've ever had. 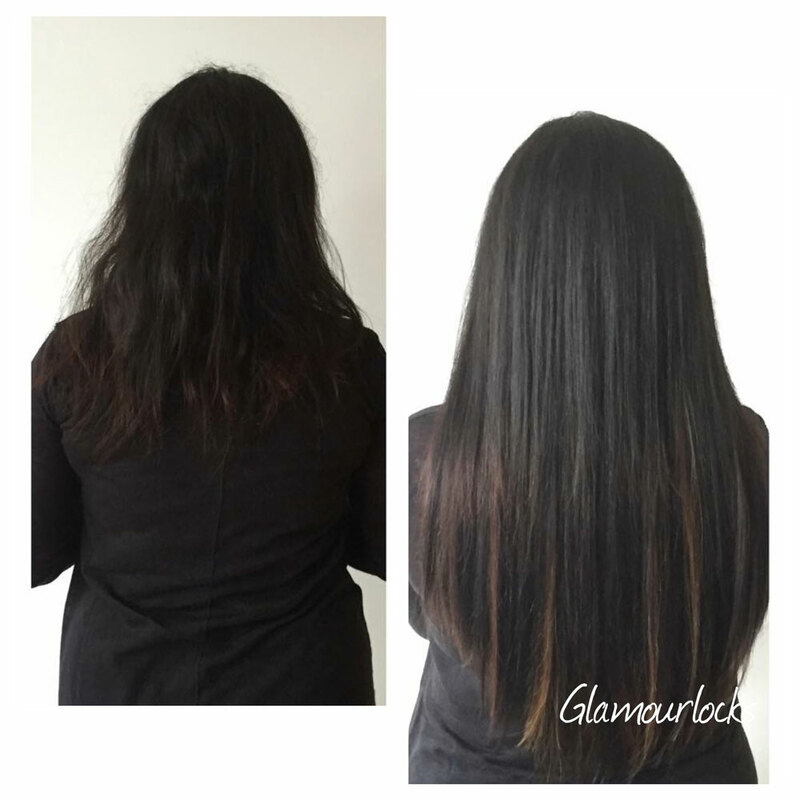 The quality of the hair is amazing (I've had the same set refitted, originally first fitted in August last year and still soft and zero matting) I would highly recommend Emma to anyone. 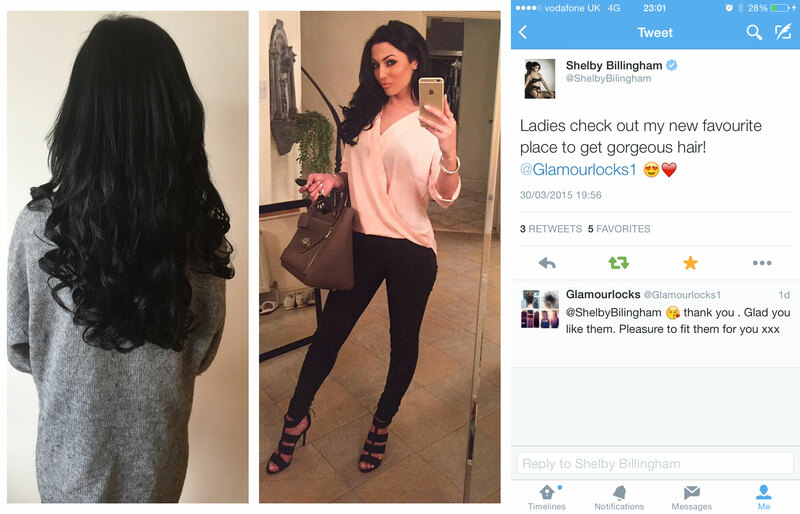 Shelby Billingham is a glamour model and has also appeared on MTV ex on the Beach. 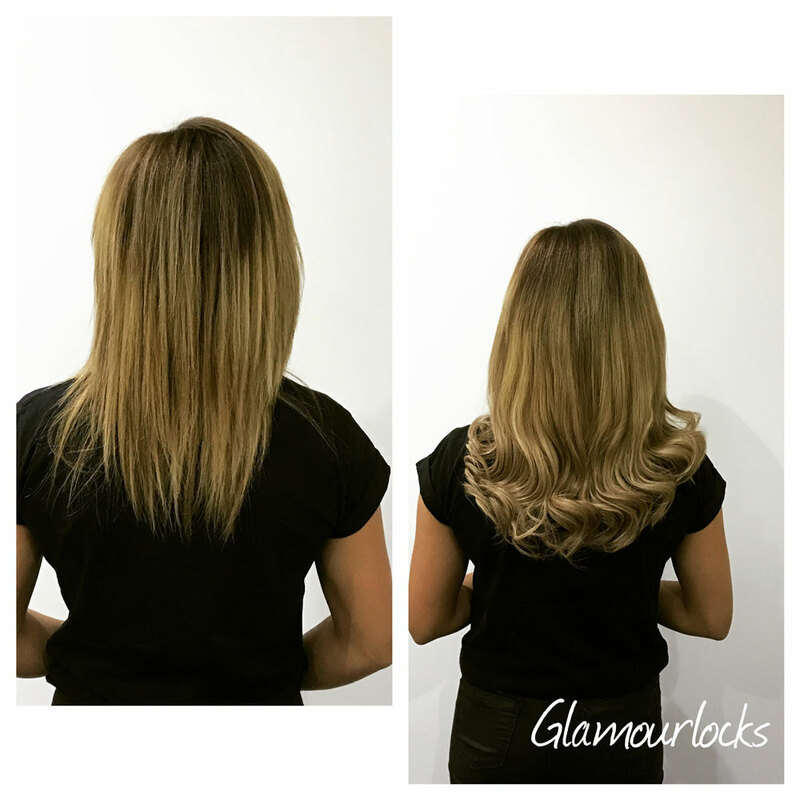 Shelby recommends hair extensions fitted by Glamour Locks. 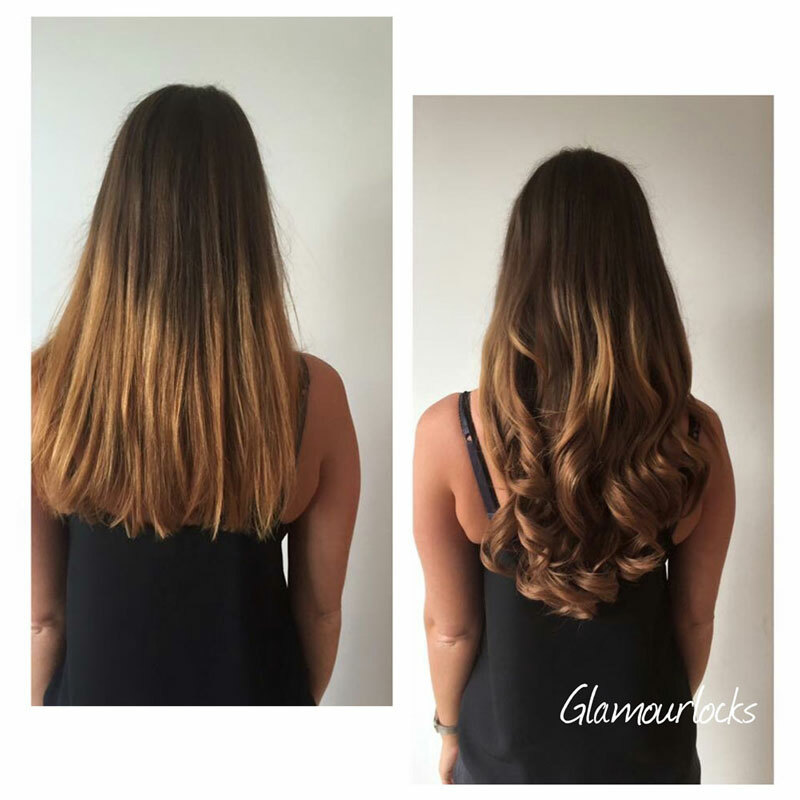 I had been thinking about getting this type of extensions for a few years, I got a few quotes which were extortionate & they didn't seem that interested, very rushed and did answer all of my questions, I found Emma (Glamourlocks) online and sent her a message ... BEST THING I EVER DID! 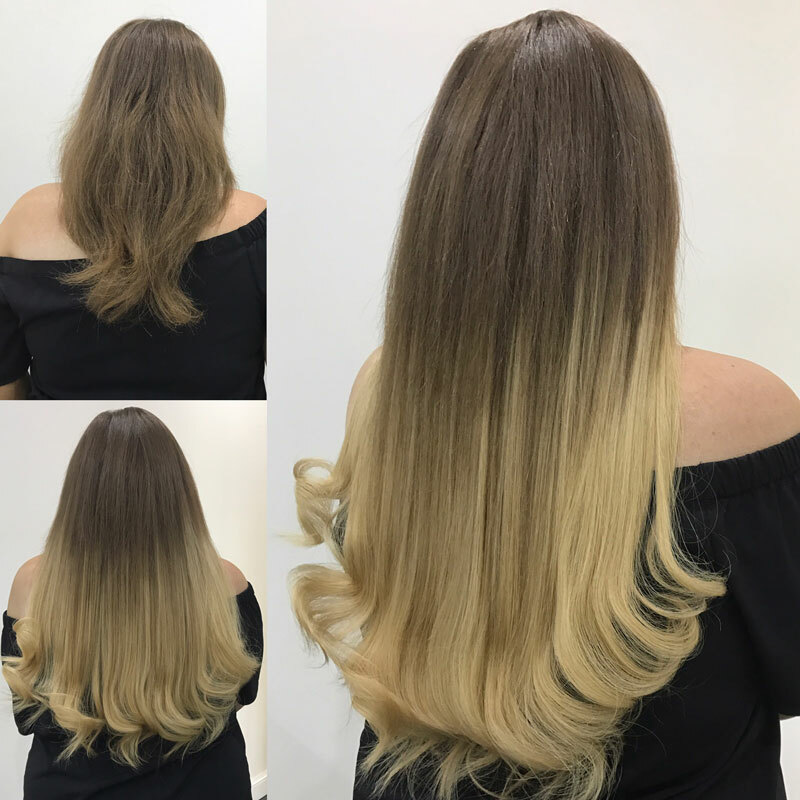 Emma was responsive, answered all my questions without even meeting her, once I felt like this is what I wanted to do, I had a free consultation & meet Emma, she is fantastic, excellent colour match and so friendly and helpful. 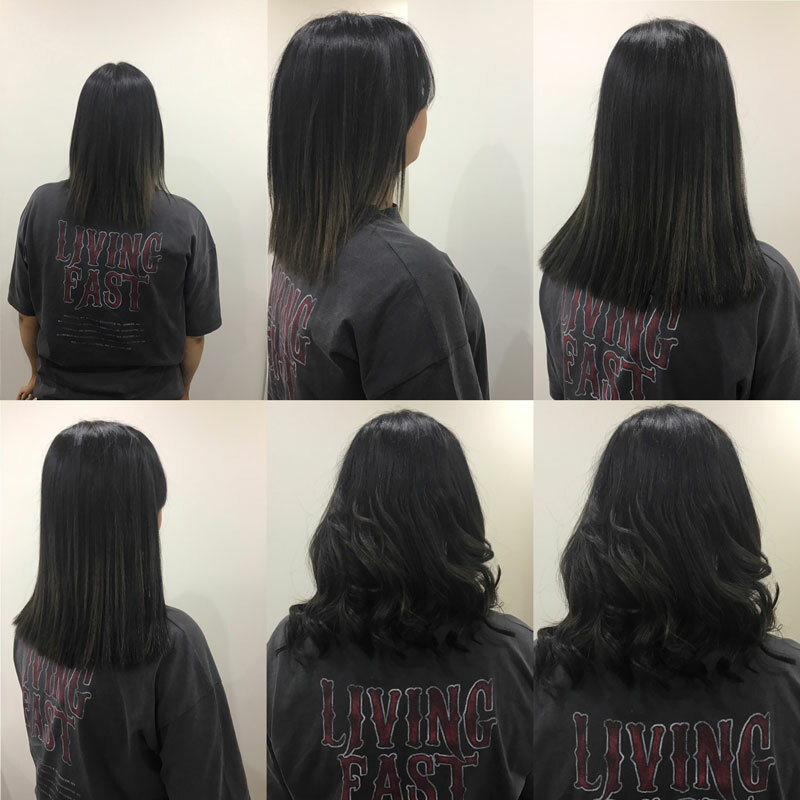 She left me with sometime to think about it (not that I needed it I was sold after I met with her) I have NEVER been happier with my hair or with customer service received and satisfaction. Emma has actually become a friend too now, so bonus for me! 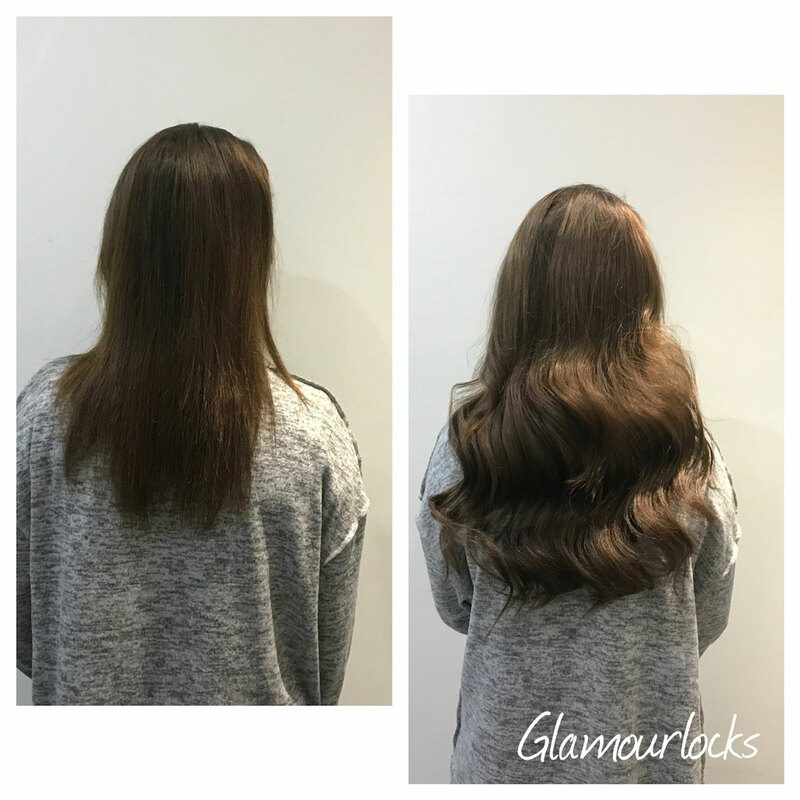 Her work is amazing, her attitude is amazing, responses are amazing, the hair is amazing, the fitting is amazing...She is just AMAZING! I would highly highly recommend & I wouldn't go anywhere else! 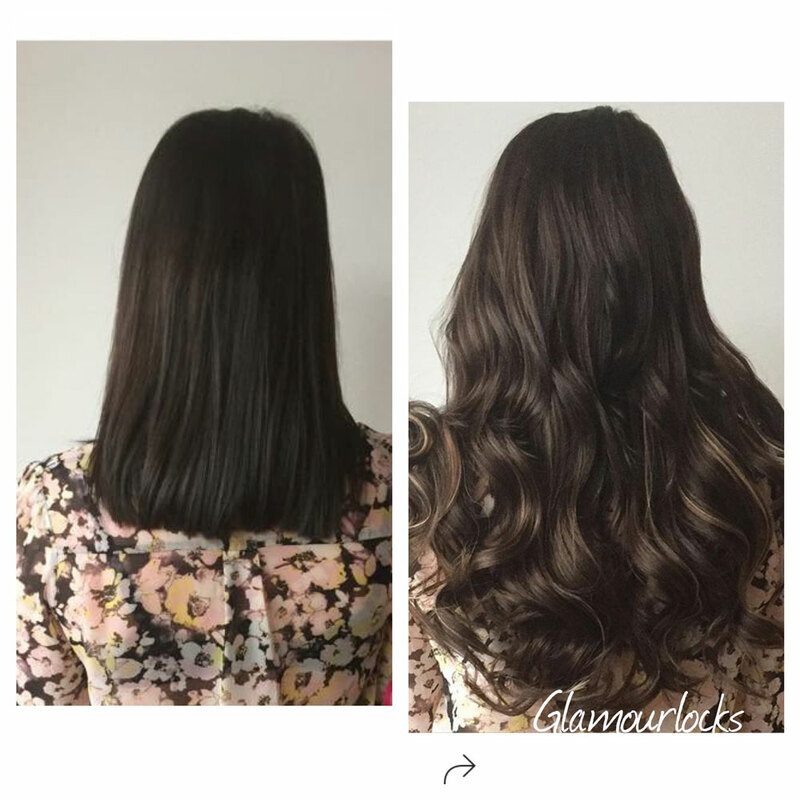 I went to Emma around two years ago and after having one disaster after another with hair extensions finding Emma was a blessing for me. 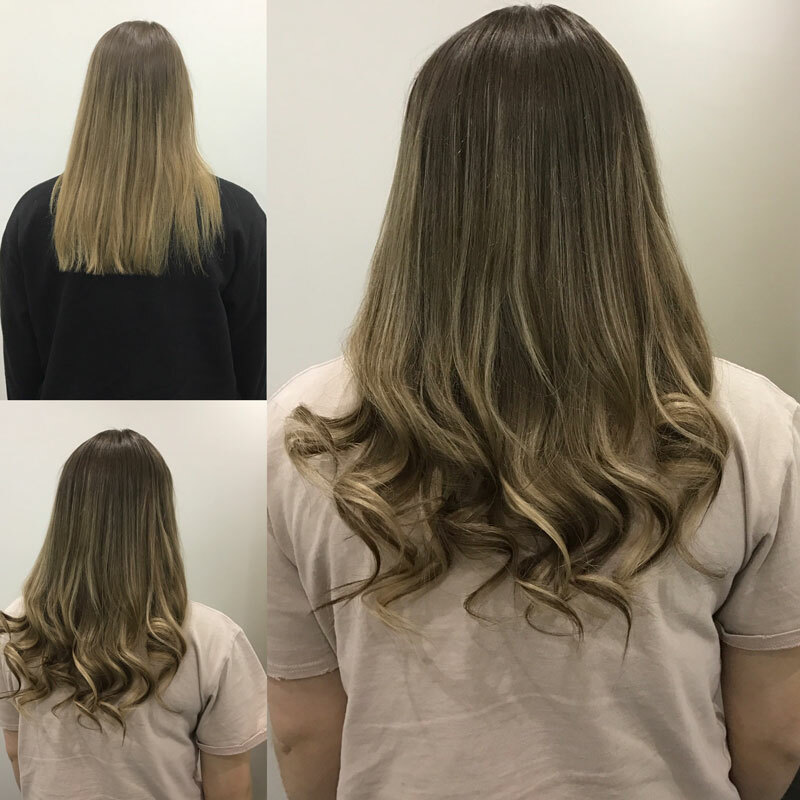 My hair is always looking fabulous and you can't even tell I have hair extensions l. I would now never consider going anywhere else other than to her. She is honestly amazing at what she does and will go completely out of your way to help you and make sure your happy. 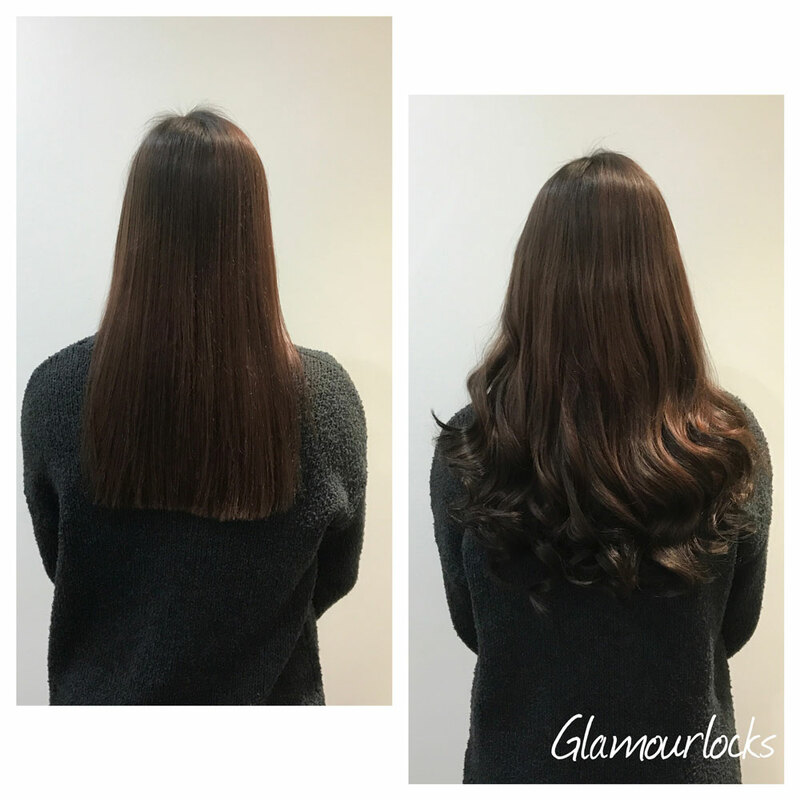 Before I found Emma the extensions I had fitted would I find that the hair would go matted and I wasn't happy with the look but the quality and fitting of the extensions Emma uses is brilliant. 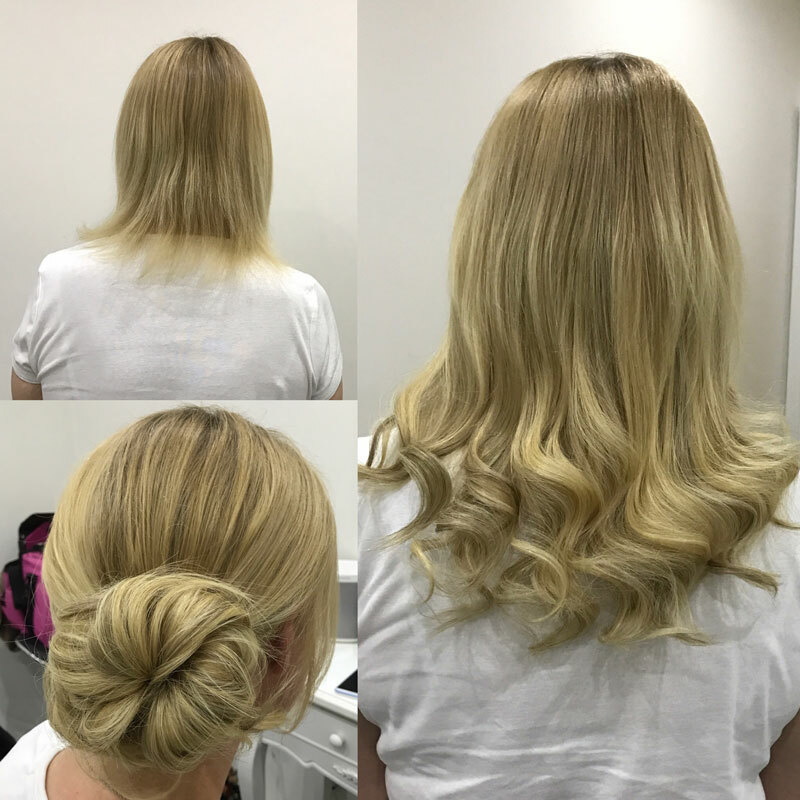 she is so helpful and efficient I would recommend her to anyone!